There are currently no setups for SuperCharged Miata Level2 (rFactor 2). Add a Setup. 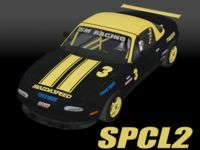 There are currently no car skins available for SuperCharged Miata Level2 (rFactor 2). If you are a painter you can share skins for this mod via the Car Skins area. Visit the Spray Booth for painting tips & tricks. The Circuit Gilles Villeneuve is a motor racing circuit in Montreal, Quebec, Canada. It is the venue for the FIA Formula One Canadian Grand Prix. It has previously hosted the FIA World Sportscar Championship, the Champ Car World Series, the NASCAR Canadian Tire Series, the NASCAR Nationwide Series and the Grand-Am Rolex Sports Car Series.